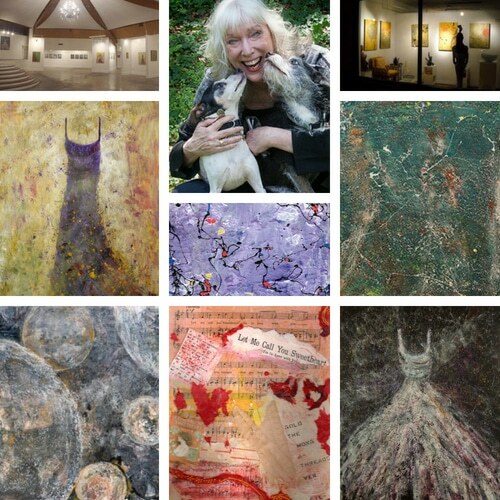 Welcome to the online gallery of award winning Atlanta artist Vickie Martin. A variety of material is used to create her mixed media multi-layered work. Some of these materials include acrylic paint, ink, pastels, charcoal, collage as well as coffee, alcohol and gunpowder. She is inspired by different themes including music, geometric shapes and architecture. Feel free to contact Vickie with any questions about her artwork.